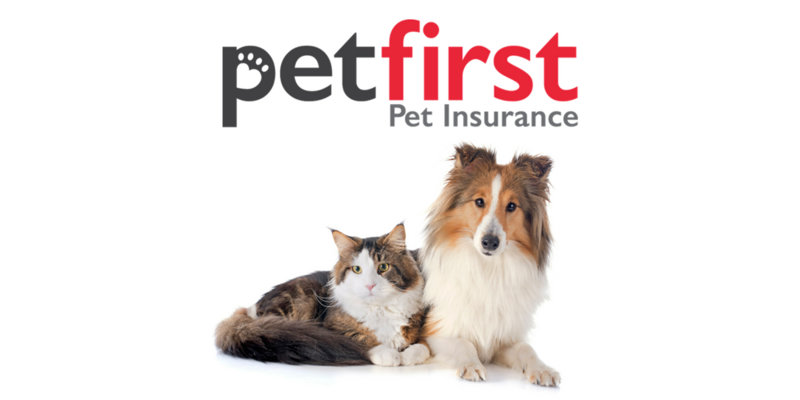 As a consumer, pet lover and fiscal genius, you want pet insurance coverage that provides not only a low monthly rate, but also great value for what you get. You are looking for a broad plan that covers everything from acupuncture to vaccines, and has enough room in case disaster strikes. We consulted with pet experts and dug into plans to come up with what we think is the best overall plan, complete with ratings on coverage, how they handle claims, reimbursements, deductibles, limits and more. Limits, reimbursements and claims are the best areas with one of our runners-up, Pets Best, at a score of 4.4. One of the best plans for older pups and cats, Pets Best has no upper age limits. 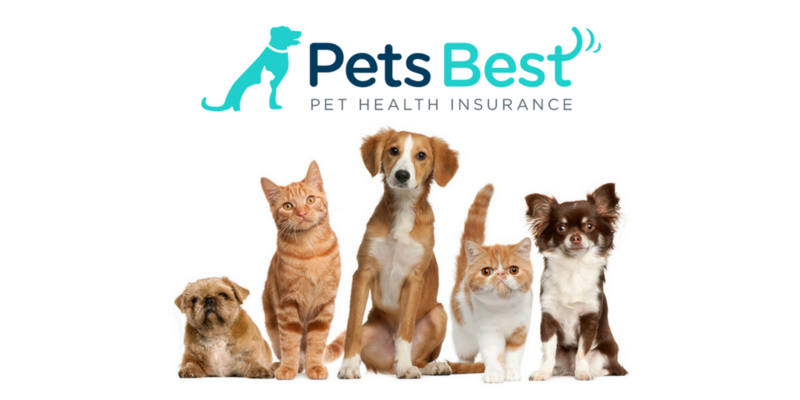 One of the only companies started and run by a veterinarian, you can know that Pets Best truly has the animal’s best interests in mind. You can appreciate a high standard of care, and know that when you shell out money to help your pet get well, Pets Best will do its best to get that money back to you as quickly as possible, often reimbursing in as quickly as FIVE days! While some companies have apps and member portals, there is one that has a Pet Cloud, and that one is Figo. For technology, Figo takes the cake. With Figo’s Pet Cloud, you can store information about your pet in one location and use it for reminders of important appointments, or to have all of their records with you in case of emergency. Most emergency vets surveyed said they would love to have access to all of a pet’s records in an emergency. 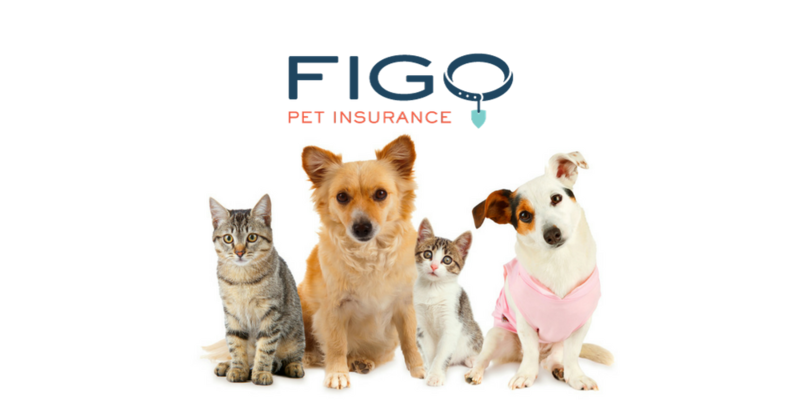 Since most times, emergency care happens after normal business hours, the Figo Pet Cloud would provide a solution to all of these problems that no other insurer can provide. Coming in at a 4.6-out-of-5 rating, Healthy Paws ranked well in all categories, excelling in coverage, limits and claims. 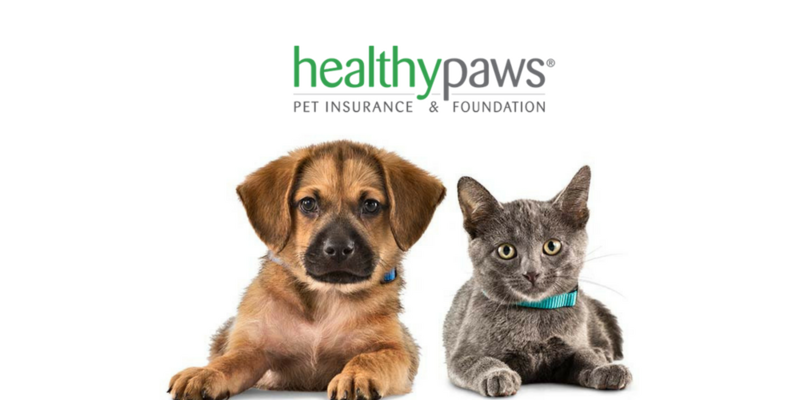 Healthy Paws ranks the best for pets with chronic conditions, since they have no lifetime limits on their policies. Their mobile app allows for easy and quick claim processing, and they don’t have claim limits, meaning your animal is covered with the best treatment possible through a licensed veterinarian. Healthy Paws also scored well in customer service and has rave reviews from happy pet owners across the web. A late addition to our 2018 list, PetPartners made it on our ‘Best Of’ list due to their two options for Wellness care for dogs and cats. Their schedule of benefits and Defender and DefenderPlus add-ons, plus their highly customizable plans with a wide variety of deductibles makes this an easy add to our reviews. Get a quote from PetPartners and have fun building your plan. Make sure to customize your Incident Limit – the monthly money you’d save wouldn’t even out should something happen. And don’t forget about Petplan. They boast a long history, since they started in the UK, and were brought over to the U.S. by a husband-and-wife team – a true family business! 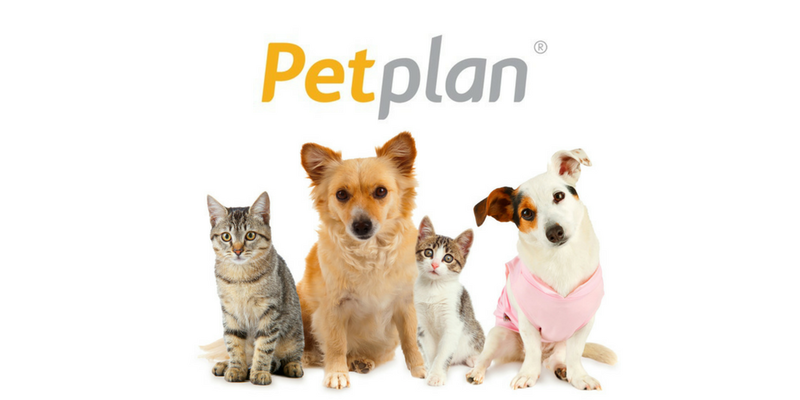 We love Petplan because they cover quite a bit in every policy – accidents, illnesses, hereditary and chronic conditions, and veterinary exam fees. Now, you don’t have to let cost get in the way of your pet getting the care they need. Policyholders love Petplan because they pay claims easily and quickly, and they have great breed coverage. Go Petplan! Another runner-up, PetFirst, got a 4.3 on our 5-point scale. They really stand out in the area of limits – they have no limits per incident or for the life of your pet. This is really great for chronic conditions. They also offer sweet discounts to military members, which is a great thing to honor those who have served our country and their furry friends. Another great benefit of PetFirst is that they cover exam fees, not something you will see in every policy. Great work! Where Embrace really excels is in its coverage of your youngest furry friends. They offer a diminishing deductible, which they call their ‘Healthy Pet Deductible.’ Every year that you don’t make a claim, you save $50 off your deductible. That can be a great savings over the life of your pet if you enroll early and while your pet is still healthy. 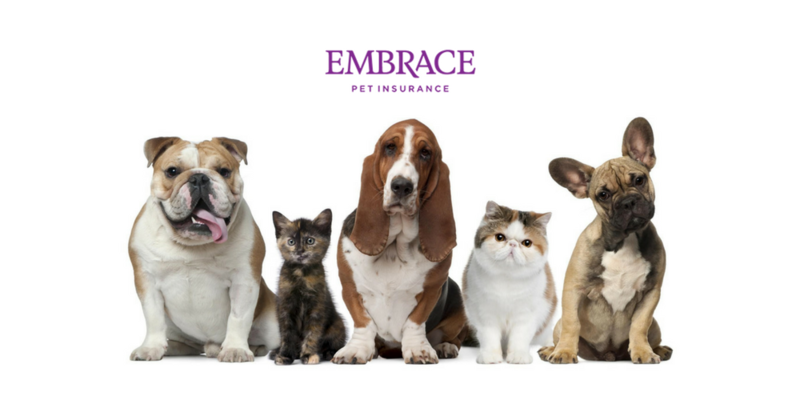 And if you need to enlist the help of your policy in the event of accident or illness, Embrace is there with nose-to-tail accident and illness coverage, covering exam fees, surgery, alternative therapies, rehab, and much more to help your pet get back to their healthy self. Have a chinchilla? A hedgehog? 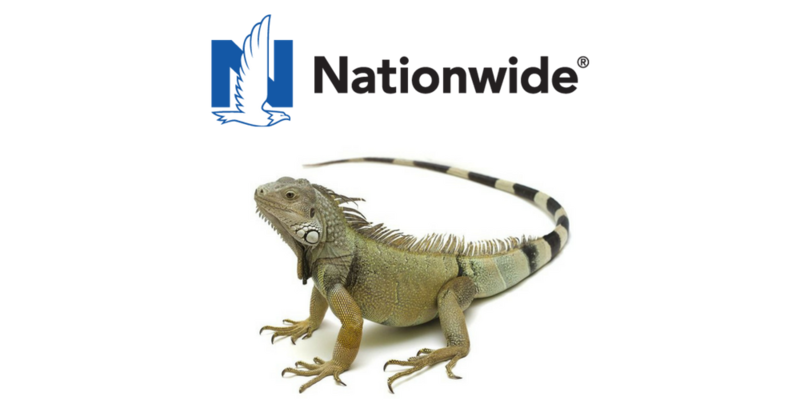 Any kind of exotic pet can be covered by Nationwide, where that is not the case with most other pet insurers. While most pet insurers only cover dogs and cats, Nationwide covers most exotic animals. This is good news for people who want some broad coverage for avian and exotic pets, although these plans are paid on a benefit schedule and not necessarily reimbursed on an ‘actual costs’ basis, they are still the best (and only) choice for pets that are not a dog or a cat. 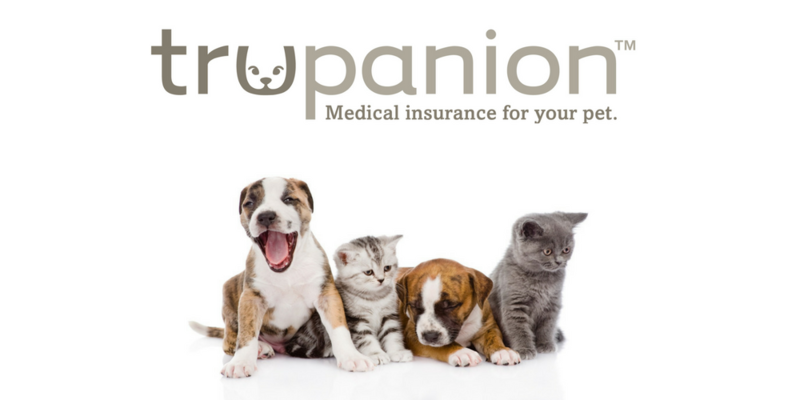 While most (95%) of the pet insurance industry operates off of claims and reimbursements, Trupanion is here to shake things up with a real-time dashboard for claim approval, and a promise to pay with veterinarians that allows you to take your pet to a vet approved in the Trupanion program and have them treated with little or no out-of-pocket cost to you. This is revolutionary and is sure to shake up the pet insurance industry as more people flock to a plan that pays up front, not days or weeks later. Pet Insurance is for emergencies – that’s it. While you can find plans that cover some routine care, and you can purchase riders or add-ons that cover routine exams, vaccinations and spay and neuter, most things that are commonplace for your pet are not usually covered. So, the question becomes – are you prepared to care for your pet if disaster strikes? In the past, veterinarians were faced with the hard choice of putting down animals that had otherwise curable ailments because they didn’t have the medical technology to fix them and their owners simply didn’t have the money to provide the care. Now, with advancements in medical care, the technology is there. Animals can receive major surgery, anesthesia, chemotherapy, prosthetics and much more, and now their humans have the burden of shouldering the cost. If your four-legged friend got a major disease or was in an accident, and you were told their life could be saved if only you could pay, would you do it? Most people would if they could, however, only four percent of pet owners have pet insurance coverage today. You can’t find a pet insurance policy that handles pre-existing conditions, and the reviews are mixed on who is the best with them once your pet actually needs care. From our point of view, the best thing to do is get pet insurance as soon as you get a pet, and the earlier in their life, the better. While some blogs and news articles advise people to start a pet savings account, most likely, you won’t have near enough saved to avoid financial ruin if your pet gets really sick. It’s better to have peace of mind by paying $15-$40 a month since they were young, than to not have the money if something happens. Illness and accident are certainly not reserved to older animals, and things can show up as a pre-existing condition later on if you don’t get your pet on a policy right away. Conversely, get your pet covered with a pet insurance policy right when you get them, and you can get bills for tons of really intensive medical work covered up to 90%. Don’t just get roped in to the cheapest monthly premium. There are accident-only plans or plans with tons of exclusions that may look really cheap but really don’t cover a thing, where for $10 or $15 more a month you can get coverage that is really comprehensive. Get a few quotes and work out the value over the life of your plan and your pet before simply settling on a monthly rate. This doesn’t mean you need the most expensive plan either, but use your best judgment so you end up with a plan that really works for you and your pet family.